The small estate affidavit allows heirs, from family to creditors, to claim the real estate property of a decedent in Wisconsin. 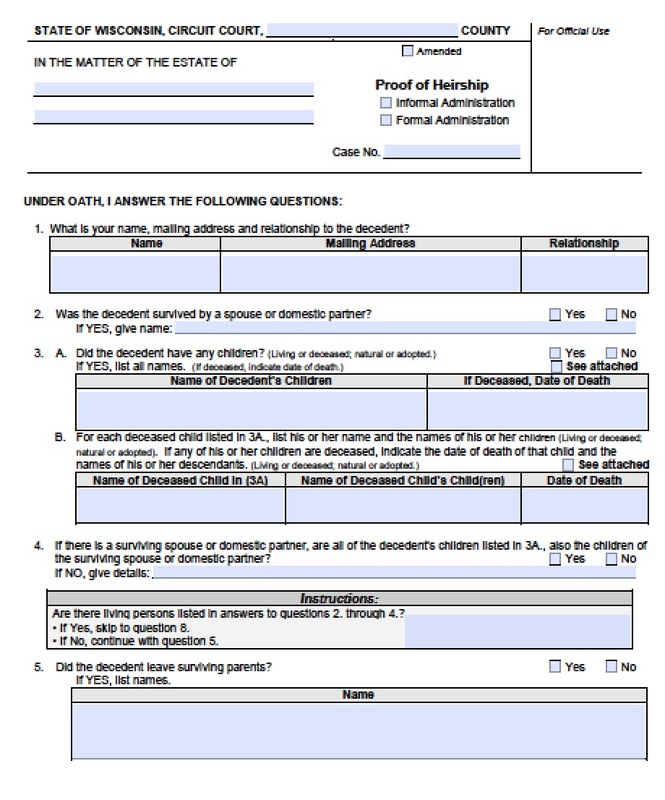 If there are no surviving spouses, partners, or children, and no disputes regarding the real estate property in probate court, then the heirs may file the small estate affidavit. The estate cannot value more than $50,000. Creditors must have evidence of the decedent’s passing. 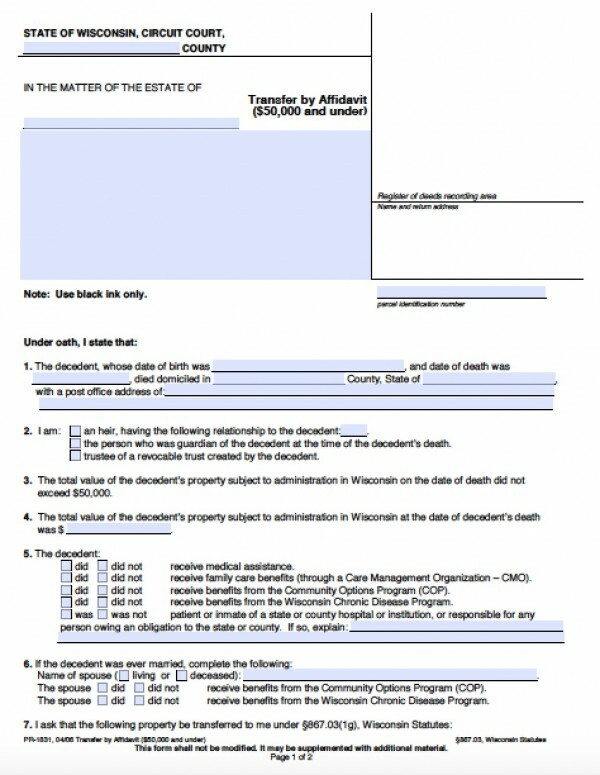 The Department of Health and Family Services must first be notified of the decedent’s passing; when 30 days have passed after that, then interested parties may file the small estate affidavit, per Wis. Stat. Ann. § 867.03.